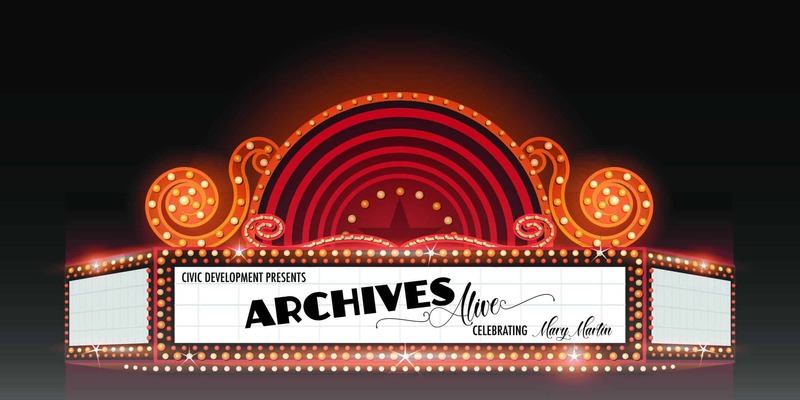 Civic Development presents – Archives Alive! An evening that will celebrate one of Parker County’s shining stars – Mary Martin. We are raising funds to help foster a passion for the arts, history and culture in future generations through hands on education! The evening includes dinner catered by Reata with a cash bar, a live auction featuring some one of kind items and experiences including a live Texas Longhorn, a cocktail experience in one of the cabins in Pioneer Cabin Park and more! After dinner guests will enjoy a tribute to Mary Martin featuring performances by Mary Martin Elementary and The Beat Dance Factory bringing photographs from the Doss archives to life. Narrated by George Dansker, a noted Mary Martin historian, the evening will also include readings of Mary Martin’s personal letters, rare archival photographs, and more. All funds raised at this event benefit the Civic Development Hands on Museum Education Project!